Home > Certifications > CDR BeerLab® method for the determination of total SO2 in beer. Sulfites are widely used as additives in beverages to prevent spoilage by oxidation and bacterial growth during production and storage. In particular, sulfur dioxide is considered as the most important factor in preserving the shelf life of beer, because inhibits beer oxidation. In fact, it is employed by breweries as potassium matabisulfite (K2S2O5), commonly abbreviated E224. 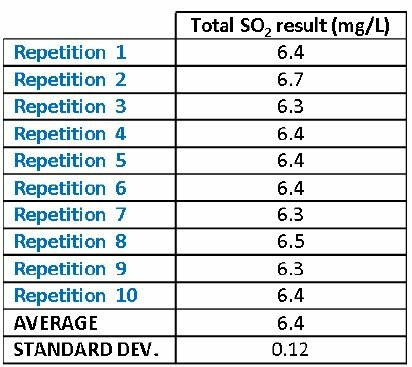 As the accurate determination of total sulfur dioxide (SO2) in beer is essential to ensuring regulatory compliance, several methods have been developed. CDR proposes a new method, easier and faster than traditional procedures, starting from a EBC (European Brewery Convention) method optimization. CDR BeerLab® estimates the quantity of total SO2 in beer, thanks to one single device, easy to use and in total autonomy. In this way the brewer is able to improve the quality control in every beer production phases. 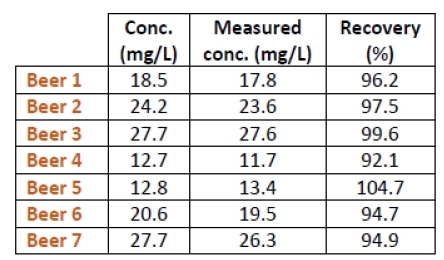 Recovery results for CDR BeerLab® Total SO2 method. 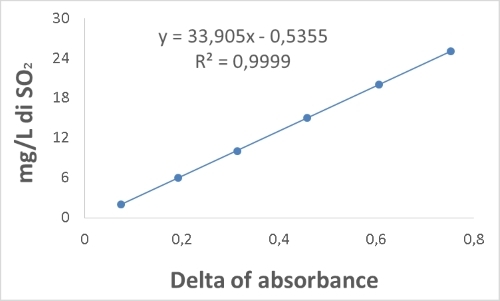 Repeatability test of CDR BeerLab® Total SO2 analysis. 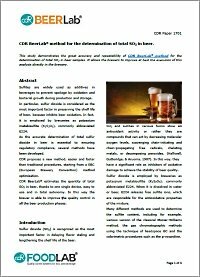 CDR BeerLab® method for the determination of total SO2 in beer. was last modified: March 15th, 2018 by CDR s.r.l.